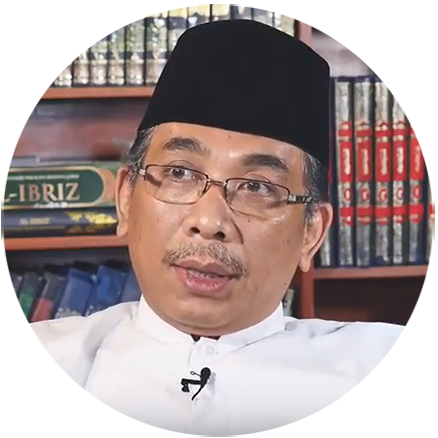 Kyai Haji Yahya Cholil Staquf is a distinguished Muslim scholar and the co-founder of a global movement (“Humanitarian Islam”) that seeks to reform obsolete tenets of Islamic orthodoxy that enjoin religious hatred, supremacy and violence, by restoring rahmah (universal love and compassion) to its rightful place as the primary message of Islam. 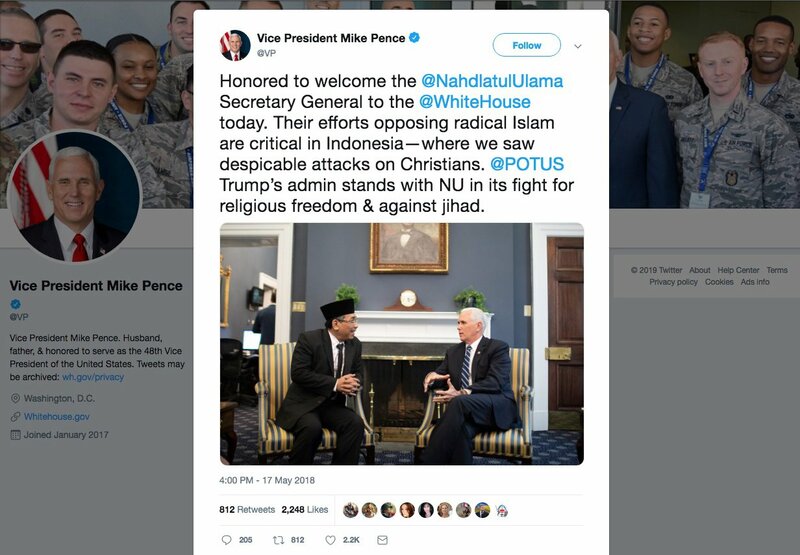 As General Secretary of Indonesia’s Nahdlatul Ulama (NU)—the world’s largest Muslim organization, with over 50 million members and 14,000 madrasahs—Mr. 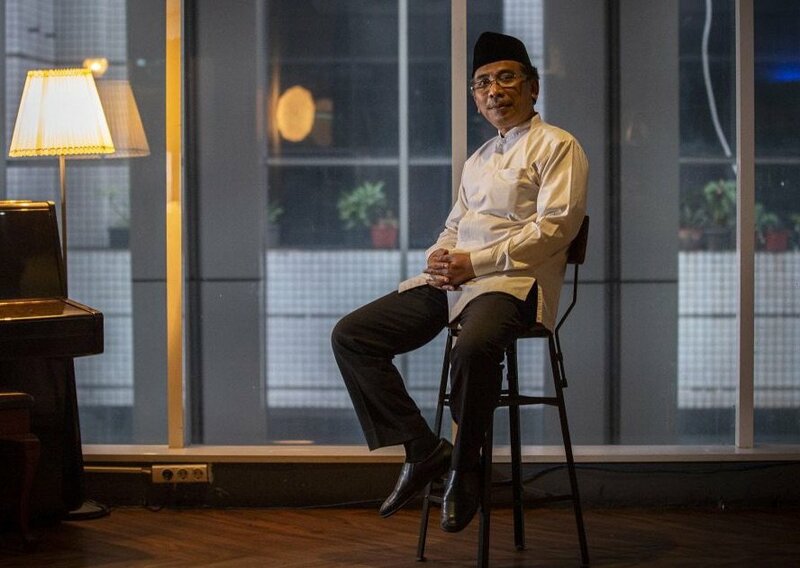 Staquf is bringing the civilizational wisdom and spiritual authority of Islam Nusantara (East Indies Islam) to the world stage, where a harsh, repressive and all-too-often violent understanding of Islam has predominated for decades. 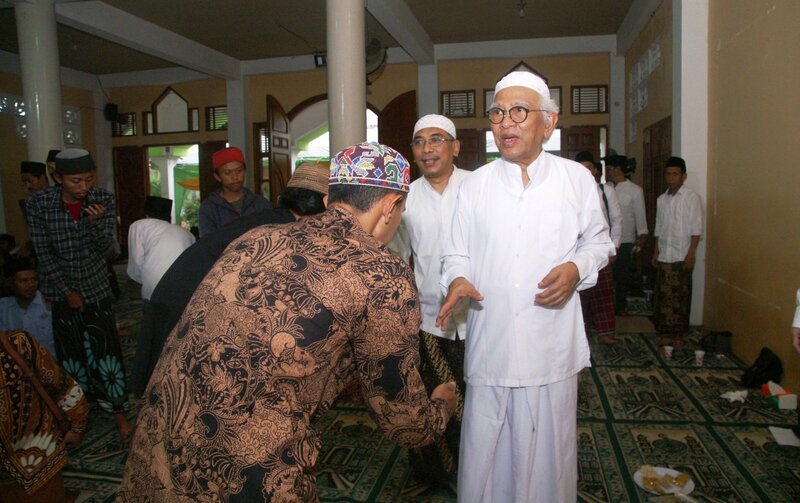 Shaykh Yahya is descended from a long and illustrious line of Javanese ulama (religious scholars), including the renowned Bisri family of Rembang, Central Java. Educated from earliest childhood in the formal and esoteric (spiritual) sciences of Islam—by his father, grandfather and uncle—Mr. Staquf later became a disciple of venerated Islamic scholar and Chairman of the NU Supreme Council, Kyai Haji Ali Maksum (1915 – 1989), studying classical Islamic sciences under his direct tutelage at the prestigious al-Munawwir Krapyak madrasah in Yogyakarta, Indonesia. KH. Ali Maksum was himself a disciple of Shaykh Umar Hamdan al-Makki (1858 – 1948) and Shaykh Hasan Masshat al-Makki (1900 – 1979) of Mecca, and mentored several of Indonesia’s most influential modern figures, including its first democratically-elected head of state, H.E. KH. Abdurrahman Wahid (“Gus Dur,” 1940 – 2009), and Shaykh Yahya’s uncle, the widely revered religious scholar, public intellectual, painter and poet, KH. 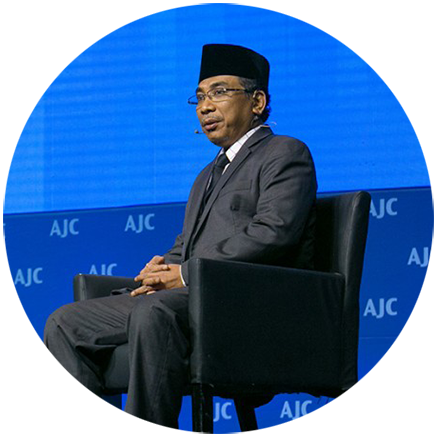 A. Mustofa Bisri (“Gus Mus,” 1944 – present), who also served as Chairman of the Nahdlatul Ulama Supreme Council. Shaykh Yahya and Gus Mus greet followers at their Madrassah, PP Raudlatut Thalibin, one of the most respected Islamic boarding schools in Southeast Asia. In 2014, Shaykh Yahya co-founded the U.S.-based religious entity Bayt ar-Rahmah li ad-Da‘wa al-Islamiyah Rahmatan li al-‘Alamin (Home of Divine Grace for Revealing and Nurturing Islam as a Blessing for All Creation), to serve as a hub for the worldwide expansion of NU operations. A member of Bayt ar-Rahmah’s board of directors and its Director of Religious Affairs (modir), Shaykh Yahya seeks to realize the vision of President Abdurrahman Wahid, who advocated marshalling the concentrated energies of the West to help bring Islamic teachings into alignment with the modern world of freedom, democracy and human rights. Inspired by President Wahid’s vision and a deep commitment to the truth, Shaykh Yahya has mobilized a large body of Sunni Muslim authorities to engage in a wide-ranging, concerted and explicit project of theological renewal (i.e., reform) for the first time since the late Middle Ages. A series of historic declarations drafted by Shaykh Yahya form the basis for this renewal, including the ISOMIL Nahdlatul Ulama Declaration (2016); the First Global Unity Forum Declaration (2016); the Gerakan Pemuda Ansor Declaration on Humanitarian Islam (2017); and, most recently, the Nusantara Statement and Nusantara Manifesto (2018). Officially adopted by Bayt ar-Rahmah and Gerakan Pemuda Ansor—the NU young adults movement, with over 5 million members—through a Joint Resolution and Decree, the Nusantara Manifesto builds on a centuries-old tradition of de facto renewal (tajdid) practiced by Indonesian ulama as exemplified by President Wahid, whose seminal article, “God Needs No Defense,” is incorporated as Section §11.3 of the Manifesto. 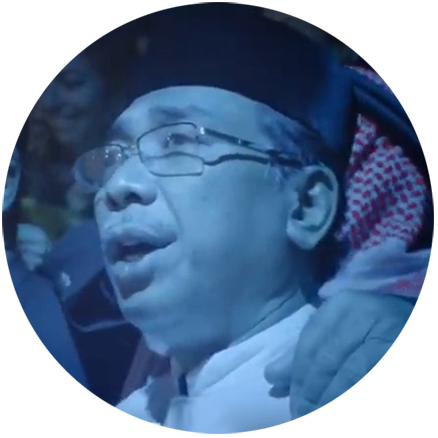 In honor of the historic visit to Israel by Yahya Cholil Staquf, Jews, Christians and Muslims who had never met before gathered at midnight, after the final day of Ramadan, to sing one song in three languages and in three-part vocal harmony.